Back at the chalkface: What’s working! Nearly two weeks in to teaching at my new school, finally beginning to find my feet and learning a great deal by ‘having a go’ at trialling a variety of teaching and learning strategies from my repertoire, to find out what works best with my new junior Historians and English all-stars. 1 to 10– Great plenary, very simple with no prior preparation needed and kids love it, particularly the shouting out part. Ask students to call out a number between 1 and 10, get them to do it a couple of times and pick the number. Then ask them to shout out a letter of the alphabet. For example ‘6’and ‘B’, the students then have to come up with 6 words beginning with the letter B to sum up what they have learned in the lesson. Great for assessing learning and also widening student’s vocabulary. 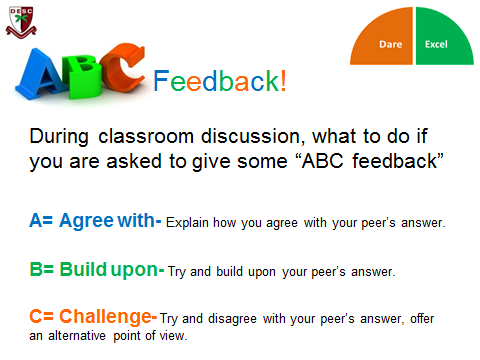 ABC feedback– I’ve introduced this to my History groups this week with varying degrees of success. Where it has worked well, it’s a pleasure to watch, where it has worked less well has been due to the idea being new and students lacking confidence, it can seem unnatural to them at first. The teacher asks students a question and then targets someone to answer. The student then target one of their peers to Agree with; Build upon; or Challenge their answer and the question then gets bounced around the room by the students. It’s a great way to encourage students to drive the course of the lesson by leading group and classroom discussion and also means all students have to be on their toes at all times, as at any point they could be targeted. This forces them to listen to their peers as they could be called upon to respond. (It’s clear when someone hasn’t been paying attention). 123 it’s as easy as ABC and adds a sophisticated level of inclusivity and differentiation to the lesson. Personally I love the strategy, it’s simple, effective and I’m going to stick with it as it has a great deal of potential when practiced and embedded. 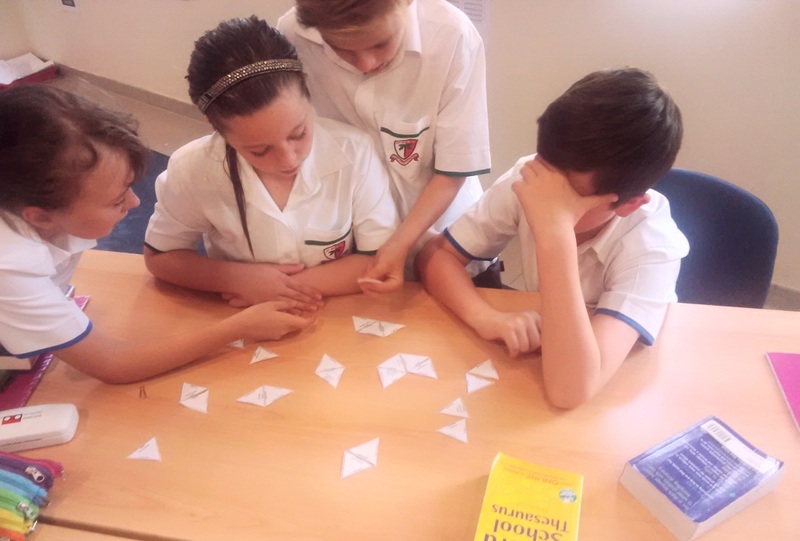 Tri-Dominos– This is a great activity for testing student’s understanding of key vocabulary and to quote one of my year 7s “It makes your head hurt”!. You give students 24 triangle shaped cards, on them are 30 key definitions and meanings. 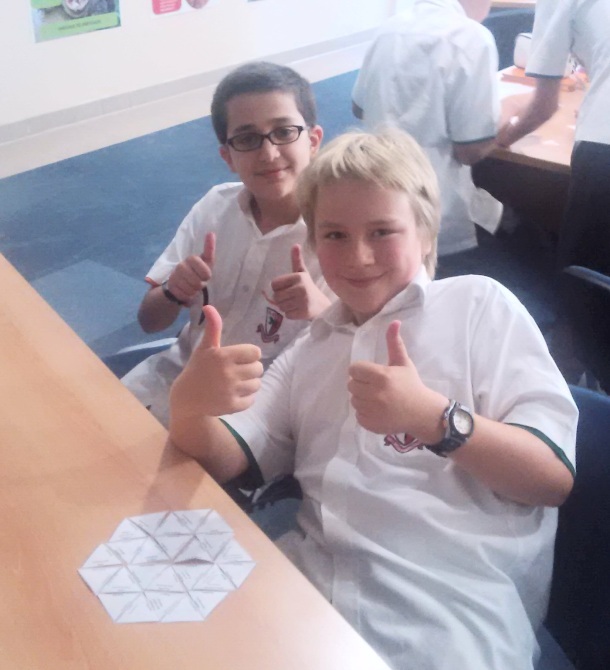 They must arrange the cards to form a large hexagon. Stick a bit of ‘Mission Impossible’ music on and let the action commence. Once I had finished this activity students used the vocabulary to complete a piece of descriptive writing. 4. Chilli learning– A novel way of sharing success criteria and personalising learning. Clearly signposts students to the higher order thinking and effort required for ‘’extra hot’’ learning. Encourages student reflection on the learning process to evaluate areas of strength and for further development.